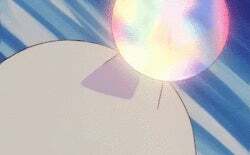 Diamonds are a Dewgong's Best Friend?! Pokemon One a Day! You know what? I'm not even gonna talk about how I dislike the name of this Pokemon, because I sound like a broken record on the subject. 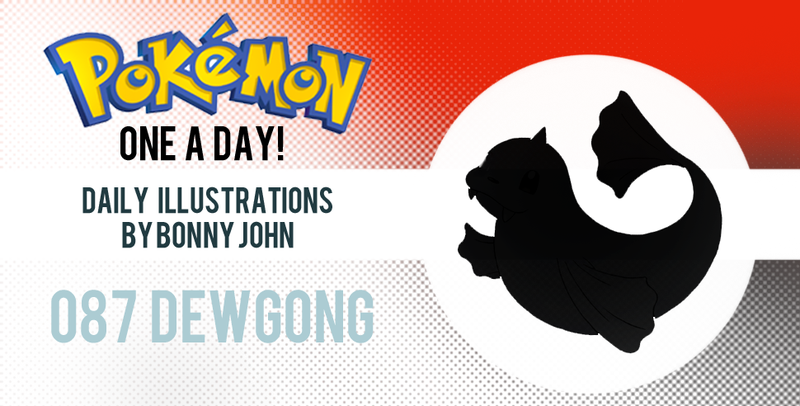 Let's get started and focus on Dewgong and his illustration for the day! This aquatic mammal who is not at all remotely echoing the real world bloated manatee it is named after in its design is instead a sleek and graceful creature. Dewgong trades Seel's paws and tail into something a bit more wispy and flowy. Using those two words as a focus for the draft, I got to the next problem that is most apparent for this series and challenge - coming up with an interesting way to present the Pokemon. As an artist, I've got my eyes peeled for my fellow artists' work through DA and Tumblr, and I came across an illustration that was heavily based on geometric shapes. That one piece would eventually inspire the way this piece would be built. Art is a continuing force of inspiration - as artists we both give and take, motivated by successful works that stay with you. As you can see in the series of work in progress shots, I never deviated from the intended tessellation of triangles, applying warm colors representing light touching this largely cool body until finish. The piece is straightforward and abstract to a degree. The process was tedious but completely worth it, and the end result gives us a work that can play tricks on your eyes so long as you focus on the whole piece at a time. The key is to find the familiar elements - the eyes and snout and perhaps the horn. The problem with making this piece look like Dewgong from the initial stage was due to the darker color and a shape. The piece looked like a manatee or blue whale. I selected my color palette and went with it to try and create surfaces that could bounce light and shadow, but in a very basic sense, while whittling away at the silhouette to create something svelte. With Dewgong being the first instance of an ice type (at least half) for the line up so far, having this geometric body should invoke a crystalline statue of sorts, like an ice sculpture in a very loose way. This intended approach is hopefully not lost on you viewers - I expect it to be the first connection you might make! So that should do it for today... Thanks for checking out Dewgong on Pokemon One a Day! See you tomorrow.